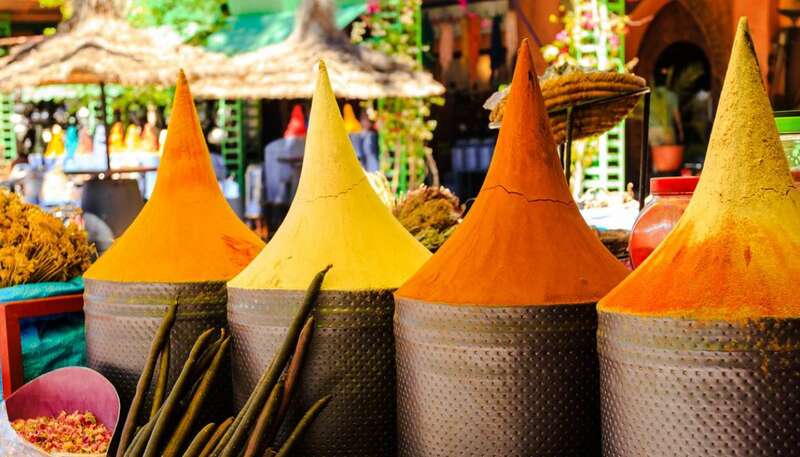 Morocco’s climate is very diverse, varying with the season and region. In general the country has a tropical climate, with temperatures reaching as high as 35°C (95°F) and as low as 5°C (41°F) in the Sahara. The coast has a warm, Mediterranean climate tempered on the eastern coast by southwest trade winds whilst inland areas have a hotter, drier, continental climate. In the south of the country, the weather is very hot and dry throughout most of the year, though temperatures can drop dramatically at night, especially in the months of December and January. Temperatures in the Atlas Mountains can drop below zero Celsius (32ºF) in winter and mountain peaks are snow capped most of the year. 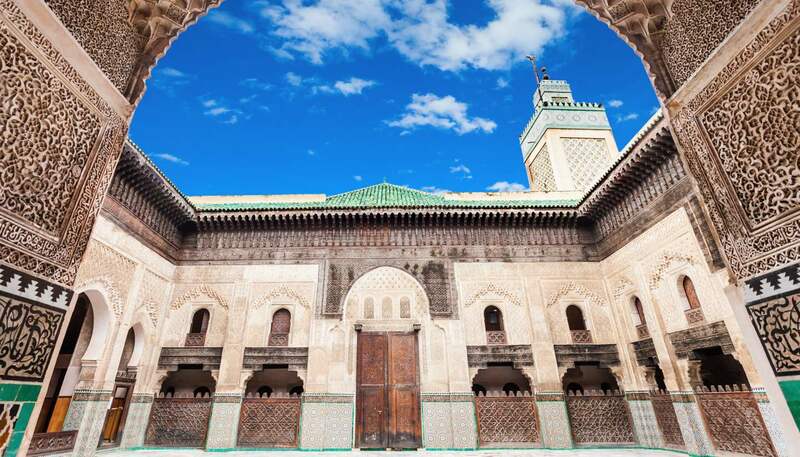 Owing to the relatively high winter temperatures, and summers that are dry rather than unbearably humid, Morocco is an all-year round destination. If you really want to avoid the heat, the best time to visit is during the shoulder seasons of April to May (or maybe even early June), and September to November. Morocco is located on the westernmost tip of north Africa, bordering Algeria to the east, Mauritania and the disputed territory of Western Sahara to the south, the Atlantic ocean to the west, and the Mediterranean to the north. Running through the middle of the country is the Atlas mountain range. The Middle Atlas range sweeps up from the south, rising to over 2,000m (6,562ft). It’s known for woodlands of pine, oak and cedar, open pastureland, and small lakes. The Rif Mountains run along the north coast. 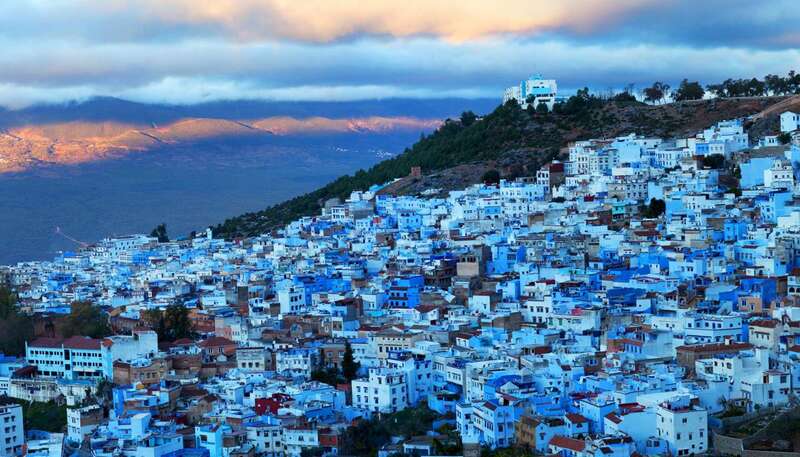 Often snow-covered in winter, Morocco's mountains are home to the country's significant indigenous Berber population. The long stretch of Atlantic coast down Morocco's western side features cool breezes and long sandy beaches. It is separated from the mountainous region by wide swathes of fertile plains. To the north is the Mediterranean coast, just a stone's throw from the European continent – Gibraltar is one hour’s ferry ride. The Sahara—the largest desert in the world—stretches its toes into southern Morocco. 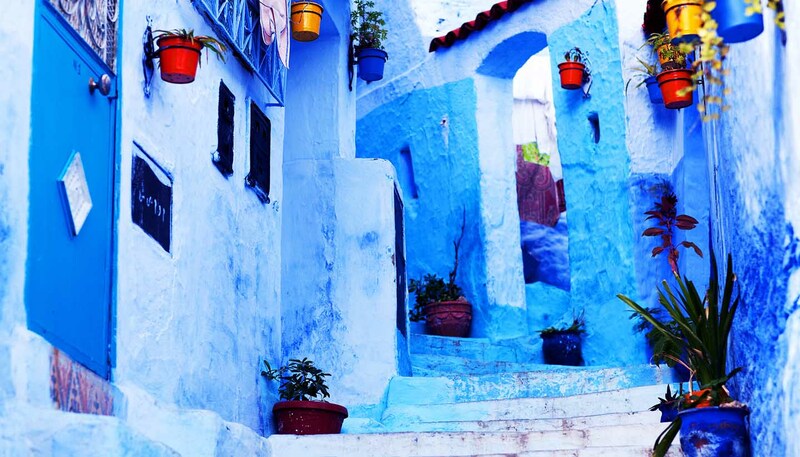 Far from being featureless, it is dotted with fascinating traditional villages and cool oases.